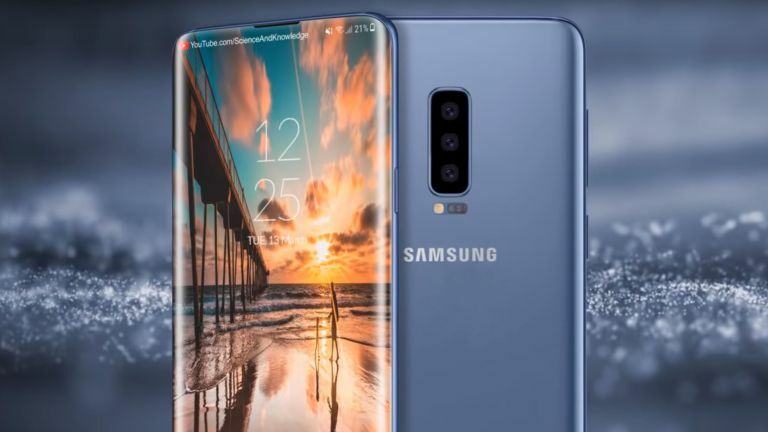 The Samsung Galaxy S10 is fast becoming the smartphone we've always wanted, as far as the rumour mill is concerned at least. Now a video has appeared to make the wait for this phone's release feel even longer. A new video has appeared online, courtesy of Science and Knowledge, showing off the exact phone we dare to hope the Galaxy S10 could be. It's got that "Infinite Screen", a nice naming progression from the current Infinity Display, as this model is expected to have no bezels at all. As such there's a pop-up front-facing camera and under-screen fingerprint reader. While the pop-up selfie snapper is rumoured here at 20MP, the rear gets a 40MP triple lens camera setup. All that's allegedly backed by up to 10GB of RAM and the latest Qualcomm Snapdragon 855 CPU. Plus, of course, wireless charging, IP68 water and dust proofing and a 4000 mAh battery. While this is still a video based on rumours and leaks, we can't help but hope this is what Samsung will unveil at CES in January 2019. Who knows, it may even come with the officially announced unbreakable display that Samsung has managed to create. We can but hope.